Nokia 7 Plus Camera Features: NEED YOUR VOTE UPON THIS THREAD. Do read and Vote. Its Important. As we all know that the Pro Mode in any phone is very much in demand now-a-days. It is immensely helpful for mobile photographers to capture some stunning shots. If you a an owner of Nokia 7 Plus, then this post is for you. You must be knowing that the Stock Camera of Nokia 7 Plus is having a Pro Mode which is pretty decent when it come to capturing photos. But if you have used any other phone's Pro Mode, you might have felt the difference in options. I want to highlight the TWO MOST IMPORTANT FEATURES that are, you can say, SOUL OF PRO MODE OF ANY CAMERA APP. These two features are ISO & SHUTTER SPEED. If you would have noticed, these two things are limited to very small values. The ISO is SET MAXIMUM AT 800. The SHUTTER SPEED is SET MAXIMUM AT 4 SECONDS. I have used OnePlus phones, and there the Shutter Speed is upto 30 seconds. I have tried almost all the apps available (even paid apps), but FAILED to get a shutter speed beyond 4 seconds. I don't know whether ISO Limit and SHUTTER SPEEDS can be INCREASED via any kind of Software update. But if it is possible, then I request you to kindly vote with a "YES" in the comments so that if anybody from Nokia is reading this might get to know about the public opinion. Also, I have tweeted the same thing tagging Nokia and Juho Sarvikas. Our collective demand would make Nokia think about this thing, and may be, if it is possible, we might get a better stock camera on our Nokia 7 Plus features in the near future. There is a small typo here. 4 seconds is higher shutter speed than 30 seconds. Shutter speed is the time the shutter remains open. The shutter speed, ISO and other parameters are set at firmware level. Yes Nokia can tweak it to give better control. But it all depends on how much the sensor is capable. For example not all features of SD660 are enabled. It requires licensing, and testing for stability and many other factors are involved. We don't know what camera sensor Nokia is using. Zeiss is just the lens brand. We don't have pause button and zoom slider for video recording. We don't have zoom slider for photo as well. Likewise in the front camera, we do not know if pixel binning is actually happening or not. Even 8 sirocco has only a 5 MP camera in front. How can 7 Plus which is in the lower price bracket have 16MP camera ? If it really did have a 16MP camera, then why are other apps not able to detect the megapixels ? Is pixel binning happening at firmware level, beyond the control of the app ? Touchpanel glass scratching easily ? This is truly a mysterious device. I think that a HMD does not listen to us and if the customer is Satisfied or not. The evidence for all of this is the updates on Android 9 pie. The company could not improve the quality of the software and Solve many many problems. Waiting for your response on this issue-****-feedback. I can only repeat myself here, because I have also written 2 detailed contributions on the subject of camera and camera software here. Nokia/HMD, and I stress here, does not want to respond honestly and openly to questions about it. I have been in contact with Nokia/HMD several times and also extensively, via Facebook Chat, Nokia Chat and email. Several times it was promised to investigate and answer here in a factual and very precise way, but the result was that all questions, even directly to the previous interlocutors, were simply ignored. Easily moody posts on Twitter, Instagram or Facebook are also directly ignored when it comes to these topics, but other really stupid questions are commented on directly. As soon as you mention Barcelona and the LiveStream where it was announced and presented directly, the communication is stopped. Also, why other apps can only access 4MP is not answered, never! For me, the subject of HMD/Nokia is first of all through, precisely because of this answer policy, of the whole "cheap processed" prodblemen (USB, loudspeaker scratches at audio output/phone calls, not to mention). the AI is not available to flagship device like 8 sirocco ...its all business strategies ...saving best features for upcomings. the 16mp itself is super pixel..... let's just say that pixel binning takes pixels in a 2x2 grid and combines them into one. The information captured by each of the individual pixels are now combined into one large Super Pixel. The unfortunate result of this is that the effective resolution of the resulting image is 1/4th the resolution of the sensor. The combination of data collected by 4 adjacent pixels into one “super pixel” is called pixel binning and is helping smartphone manufacturers squeeze the last bit of performance from existing sensor designs. Again, very slowly from my side. Nokia 7 + AI for the camera was unveiled and announced!! Do not compare it to devices where it has not been announced, regardless of whether they can. 16MP is not the superpixel image. Combined!!! As with the 808 and the Lumias. On 4, 1, not, combined is not extrapolated!!! Normally also in the same aspect ratio. Also, it doesn't really fit together that the 4MP is 16 to 9, but the 16MP is 4 to 3. The statement that the 16MP is superpixel or binning contradicts the technology sometimes something of enormous. Nothing can get better because it is artificially extrapolated, but when binning, the best one from VIEL is compressed, so to speak. So we're at 16MP to 4MP again. If, just accepted (laughs) the 16MP a super pixel image, then according to Nokia/HMD, the sensor would have to have the 4 sound of its own statement, which I don't believe (laugh again). As I said, as soon as one objects and says their statements factually, but, but, 4MP would be correct, and why does AI not exist, why can't appeal to the 16MP. And then directly refers to their own LiveStream where the live was announced, then SOFORT is no longer replied to. As I said, now x times via EMAIL CHAT AND CO happens. At the moment, however, I have to say that it really looks as if the 4MP are being extrapolated rather than wanted, but that would make absolutely no sense because nothing will get any better with this, CAN!!! The only worse. It remains odd. It seems to me rather that one has simply consciously or unconsciously deceived or does not want to know any more about the Story. 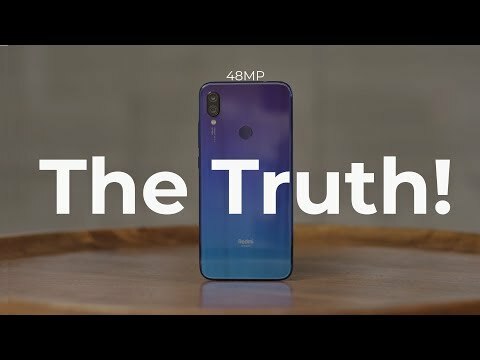 I am a nokia 7 plus user, I totally disappointed with nokia 7 plus camer. Hmd is weaker on software side. When video taken in low or artificial lightings lot of noices found. Nokia 7 plus is at 27k, but 21k poco f1 is mich better than nokia 7 plus camera. For me, the mandatorry function is PRO MODE in Video Mode. For manual focus in video install open camera from play store. You will not get OZO audio with other video recording apps. going to be upcoming trend.